Photo of: East Coast of Ireland: Wicklow: Clara Vale. 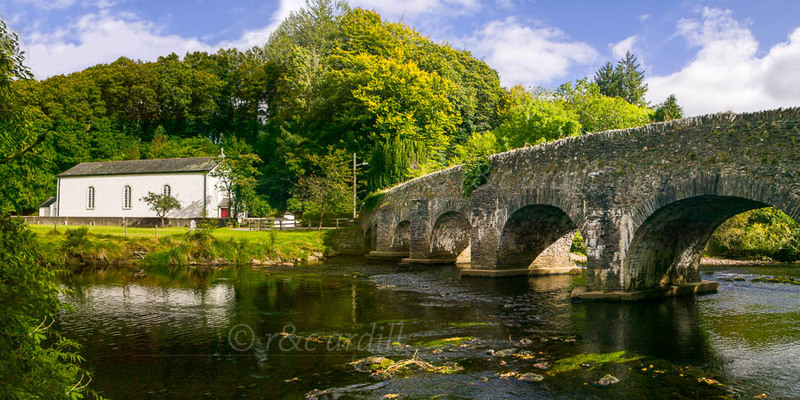 Clara Vale is renowned for its whitewashed church sitting on the banks of the Avonmore River and for the beautiful stone bridge with its five arches. The Clara Vale Church is a favourite place for young couples to get married in.